First Baltic (Baltic VDL x Chin Chin) and Michael Hughes became 9th in the U25-A Grand Prix of Lichtenvoorde. They also became also 4th in a 1.40m class. 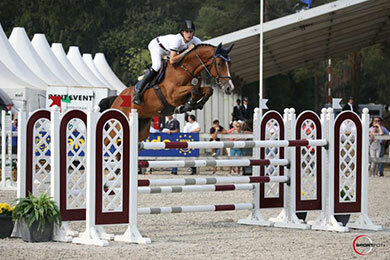 Horses2Fly Falcao (Azteca VDL x Iroko), ridden by Rink-Jan Dijkstra, became 3rd and 4th in two 1.35m U25-A classes. Figo (Zapatero VDL x Indoctro) and Ilse Tolboom became 7th in the J-A Grand Prix of Lichtenvoorde.